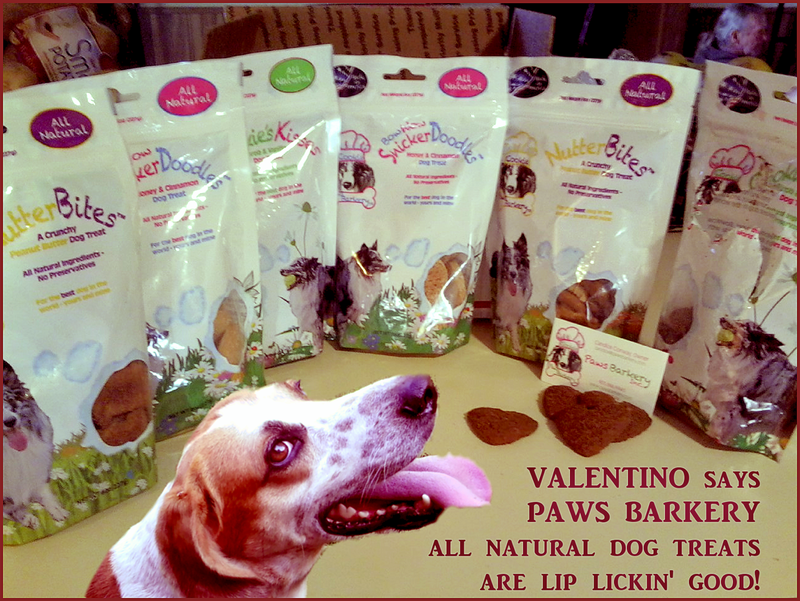 My dog Valentino could not have been happier with his Cookie's Kisses delivery from Paws Barkery ... A box of sweet dog treats just for him! A knock on the door elicited a bark from Valentino, and yes, this was a priority mail package for him from Paws Barkery! The dog could not wait to get into that box of all natural dog treats. Valentino's first choice? Why, Cookie's Kisses, of course! Here you see how much Valentino enjoys his Priority Mail call! 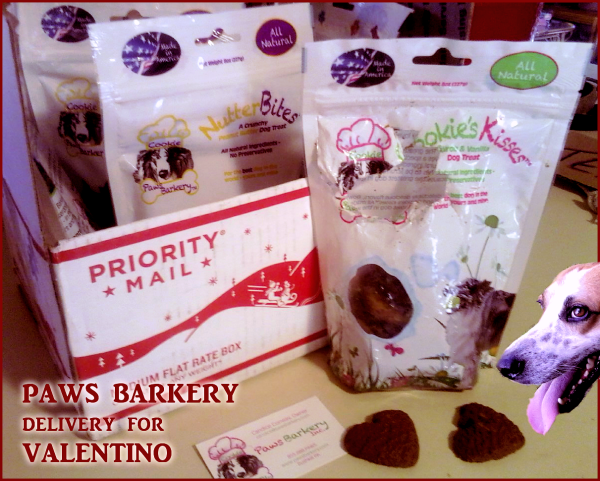 These dog treats from Paws Bakery come in a triple variety of flavors and my dog Valentino was doggie delighted by the chance to taste all three via special delivery. He received two packages each of Cookie's Kisses, Nutterbites, and BowWow Snickerdoodles! Cookie's Kisses are heart-shaped carob and vanilla dog treats, while Nutterbites are shaped like a dog bone with a peanut butter flavor, and the BowWow Snickerdoodles are a round of honey and cinnamon flavors. 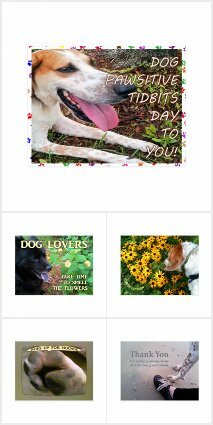 These flavorful treats for dogs are made in the USA from ingredients sourced in the USA too, from all natural ingredients found right in Candice the dog lover's Paws Barkery kitchen cupboard in Bushkill, Pennsylvania. The treats are made without artificial flavorings or preservatives, using honey as a natural preservative. And they are corn and soy-free treats for your dog. I received this gift of tasty dog treats because my dog lover, Ruthi, was the 1000th follower of Paws Barkery on Twitter! 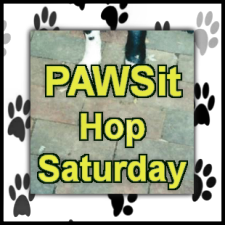 Ruthi and Valentino invite you to share your dog tail - tale in a blog post and link up with PAWSit Hop Saturday this week! Get the PAWSit InLinkz code.